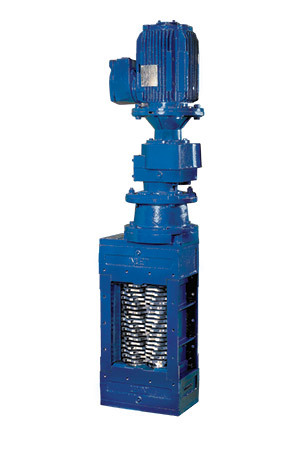 The reliable Series A Muncher is well proven in its ability to effectively macerate raw sewage, sludge, screenings, and industrial process flows. Available for pipeline of channel installations, the shaft speed of 85 rpm offers low cutter tip speeds and therefore dramatically reduces wear rates in comparison to high speed macerators. The Series A Muncher can be packaged with Moyno’s pump to provide a highly effective macerating, screening, or pumping system.